All photos taken with the PEN-F and the mZuiko 17mm F/1.8. RAW conversion and post processing in Adobe Lightroom CC. Wow, these are spectacular! I’ve missed seeing your images Marcus, glad I came by! Stunning images! 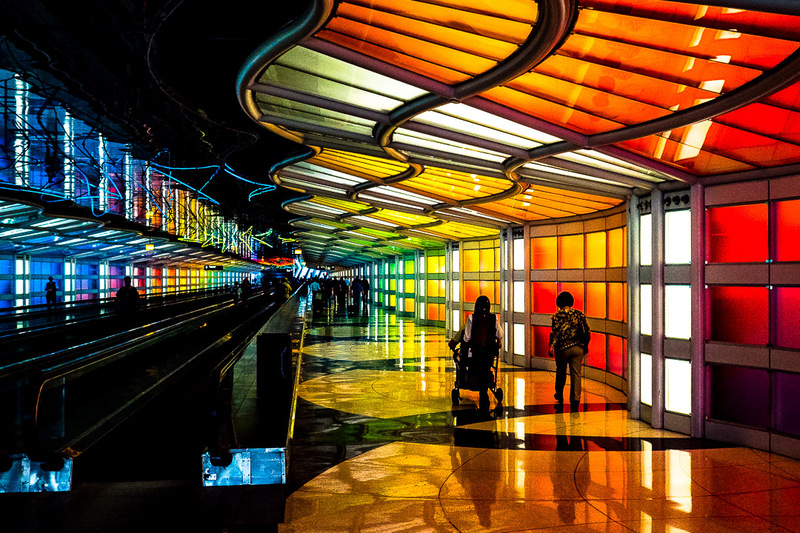 Vibrant colors, leading lines, composition, mood, look, the title “Variations on a Tunnel” they together they tell a visual story of how airports could look like sometime in the near future. That would really be nice. Thanks for posting! The environment, composition and processing make for FUN! What a fantastic tunnel and great shots! 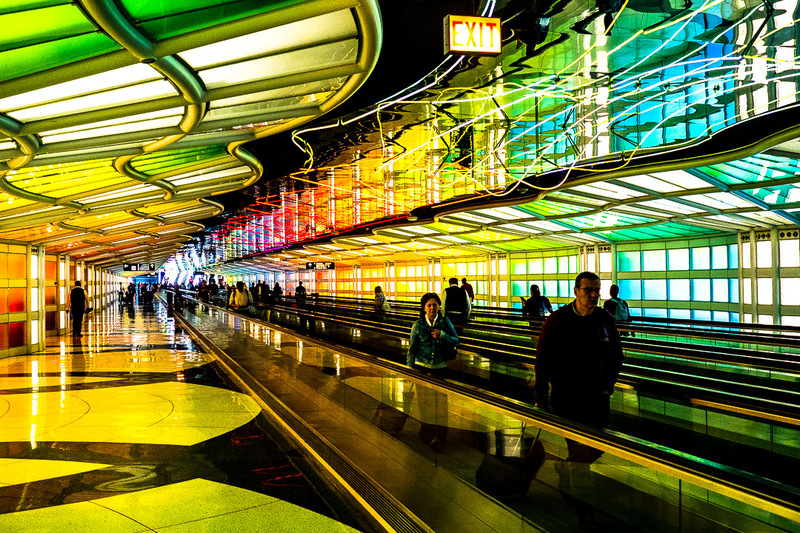 That tunnel is quite colorful. Great captures Marcus! great photos! 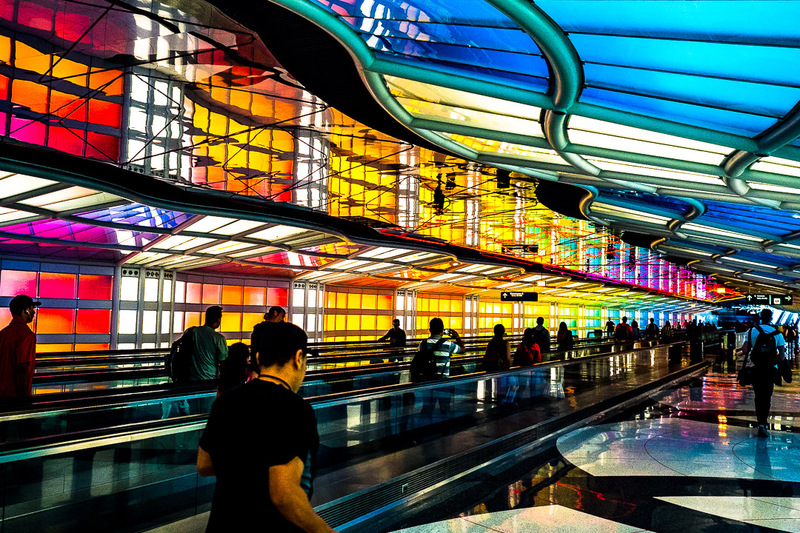 all airports should be so colorful! Stunning lines, shapes, and colors…the images seem to have an intermix of reality and abstract elements…brought to mind futuristic drawings I saw when so much younger. Thank you for sharing. As a flight attendant, I tend to take airports for granted. 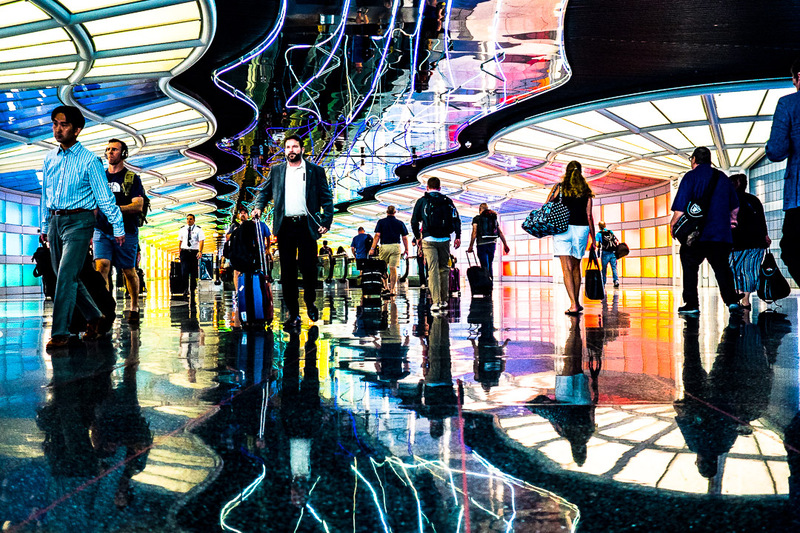 Thank you for these pictures and painting these airports in a different light. The colours are smplu magic Marcus. Thanks, my friend. I’m hanging in there 😉 ! Hugs! Thanks, Heide, also for the idea of getting in touch with ORD. I might just do that…. Stunning Marcus, Love the vibrant colours! Clever! Nice example that it is possible to find scenes to photograph EVERYWHERE. Thanks, Claudia, and it is so true what you are saying! The first image seems to be more creative. It maybe the angle and where in the tunnel you were shooting. Thanks, Hien, there is opportunity for photography wherever we are….